There are two aspects to each story— what it is about and how it is written. Three young adult novels I’ve read over a span of two weeks excel in certain intriguing elements of style – meaning the tools used to write them. 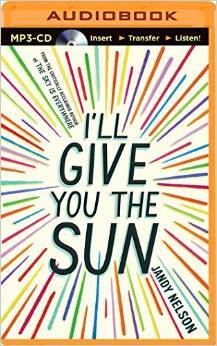 We Were Liars by E. Lockhart, I’ll Give You the Sun by Jandy Nelson, and Will Grayson, Will Grayson by John Green and David Levithan each include techniques that help propel their prose and make these stories remarkable. We Were Liars is set on a small island off the coast of Massachusetts owned by the Sinclair family, apparently Mayflower bluebloods to the core. Stiff upper lip and old money attitudes are the stated norm, although there is the title of the book to make one wonder. When Cadence’s father leaves her mother at the beginning of chapter two—the book incidentally is told in first person—Cadence states that he pulls out a handgun and shoots her in the chest. So shocking. Why would he do that to his daughter? She graphically describes her heart and organs spilling out and so on, so that by sentence three or four the psychological metaphor reveals itself. The author has used a dramatic and compact way to show the pain that Cadence feels at the loss of her father. It is stunning. This device appears later, also to powerful advantage. Noah, in I’ll Give You the Sun, explodes with passionate, hyperbolic sensations involving the entire universe, especially when he is under pressure. He also creates mind paintings and in general views the world through a kaleidoscopic, creative lens that is often conveyed in a stream-of-consciousness way, as if the reader can see the inner workings of his mind in all its chaos. Magical realism is the ultimate use of psychological metaphor for both Cadence and Noah. Noah’s twin sister Jude, whose voice is more rational, more “normal,” is also a narrator, one who is completely distinct from her brother. Since the different chapters Jude and Noah narrate also careen back and forth in time within a three year span, the emotional turmoil the characters are experiencing in their shared response to tragedy are echoed for the reader in the trajectory of the narration. Jude and Noah are shown as two halves of one soul. 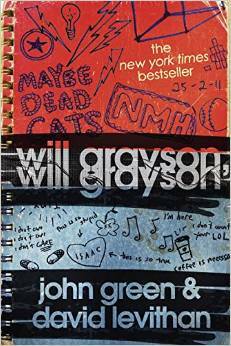 Will Grayson, Will Grayson is also told by dual narrators, as reflected in the book’s title. In this case, readers needn’t go past the first sentence of a chapter to recognize which W.G. is speaking. One of the W.G.s uses no capitalization at all while the other uses upper and lower case in the standard way. Their voices are also distinctive, but the text itself looks completely different even before either character is heard. One of these three novels has an unreliable narrator, but I can’t reveal which book it is without spoiling the big reveal. This device, where a trusted character suddenly is seen from a shockingly antipodal point of view, is responsible for a totally mind-blowing plot twist that will knock the wind out of you when you read it. Trust me. Read all three. One of them has a huge surprise waiting for you. Without premeditation on my part, I have created an unreliable narrator in one of my novels, too. In nearly every YA and tween novel I’ve read recently there are examples of what I’ll call the punctuated.word.string. Maybe there’s an official name for this? When extra emphasis is desired, a character will say a string of individual words with a period after each. No. Stinking.Way. or perhaps something like: Totally. Completely. Inconceivable. Most often these are written horizontally, but on occasion, the word string will be vertical, as sometimes when Noah uses this trope in I’ll Give You the Sun. The string thus gains the advantage of reading like poetry. One of the ways to heighten tension in any plot is to widely contrast opposites and these three books maximize that effect. In We Were Liars the title itself sets up a dichotomy between what is stated and what the narrator tells us about the events that unfold. There is friction between the privileged life and the commonplace norm as well as between life on the island vs. life on the mainland. Even Cadence’s hair color raises tensions in that all Sinclairs are blond, including her, but she has dyed hers black. Skin color is also a dark/light source of stress. Each of the other two novels show strong tension between opposing sexual orientations, see-sawing boy/girl relationships, and a gigantic-sized character with a personality to match juxtaposed with a little twiggy one who is shrunken within himself. These six narrative tools only scratch the surface of what makes these books so effective. But they do have a role in distinguishing the way they were written— their style, which helps set them apart as remarkable.